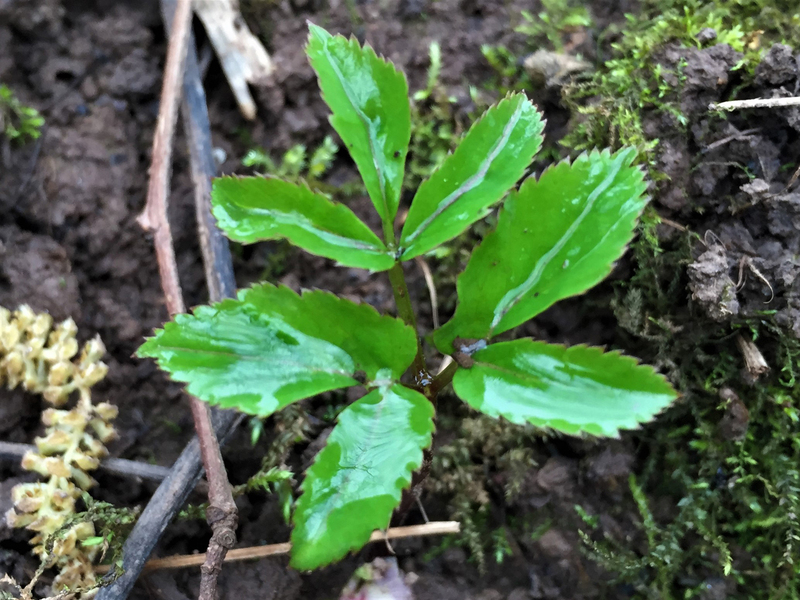 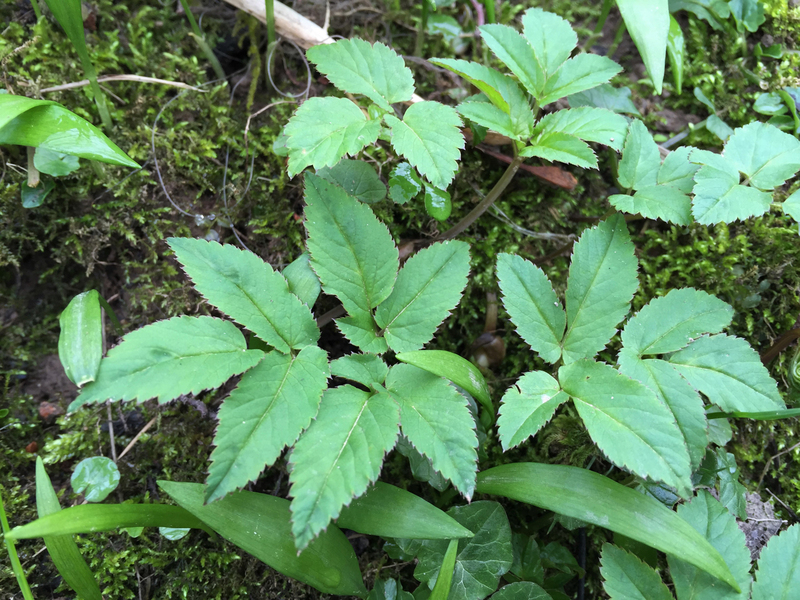 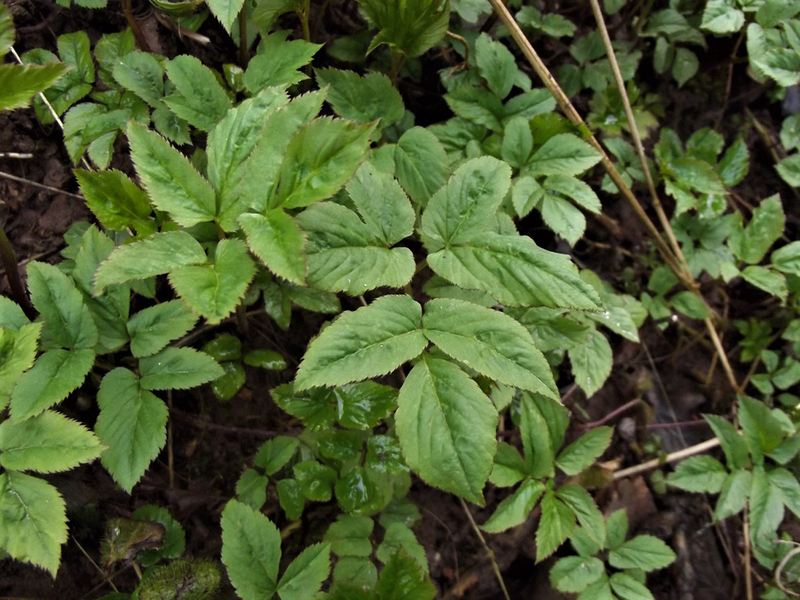 A typical ground elder leaf. 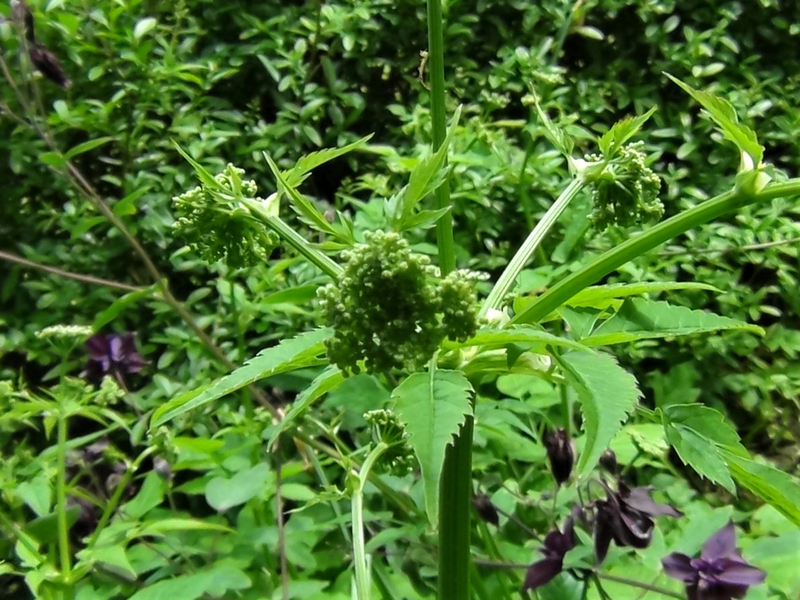 This good edible green was brought over by the Romans as a food staple, but soon spread countrywide. 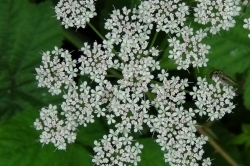 The modern day gardener now spends fruitless hours attempting to get rid of it. 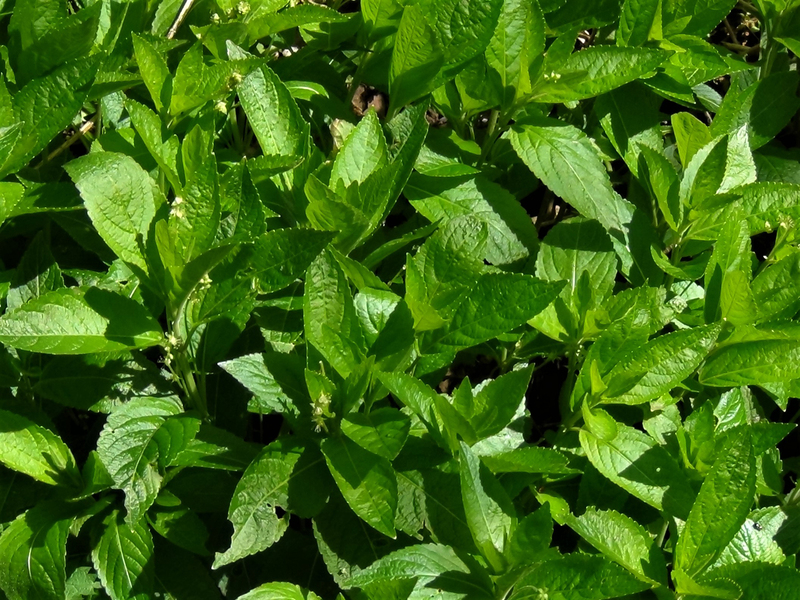 We’ve found the easiest solution to keep this quick spreading plant under control is to eat it. 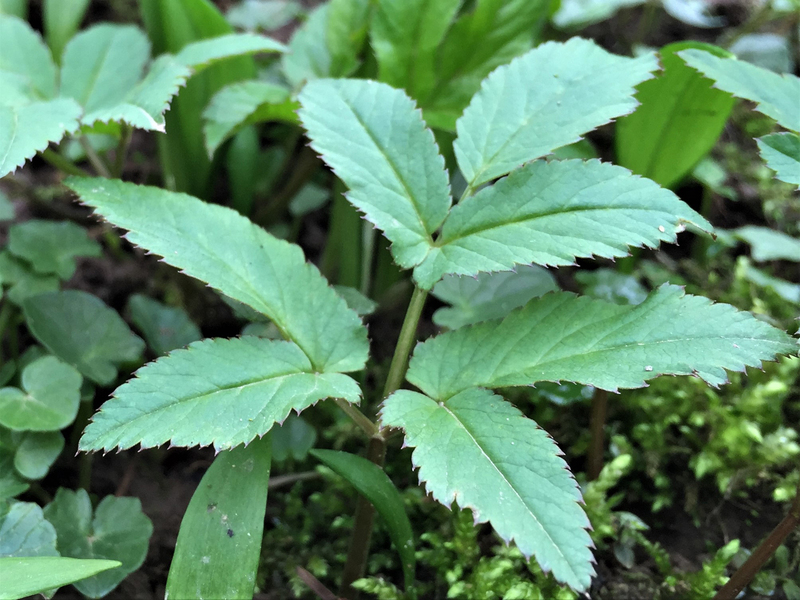 Toothed, ovate and usually in groups of five, two lower ‘leaves’ can be seen to be splitting to appear as seven leaves in some specimens. 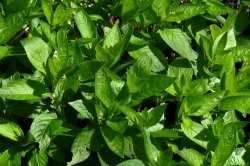 Light green, shiney and translucent when young becoming dark green with a matt finish. 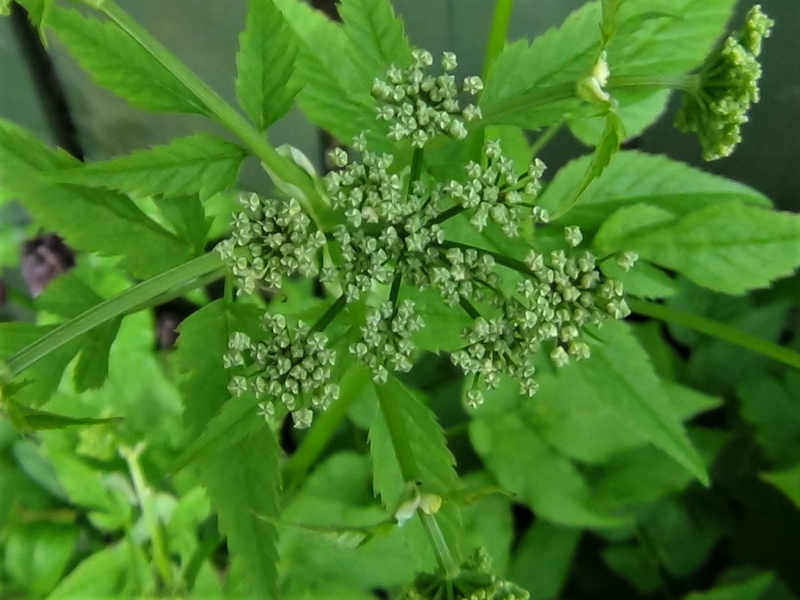 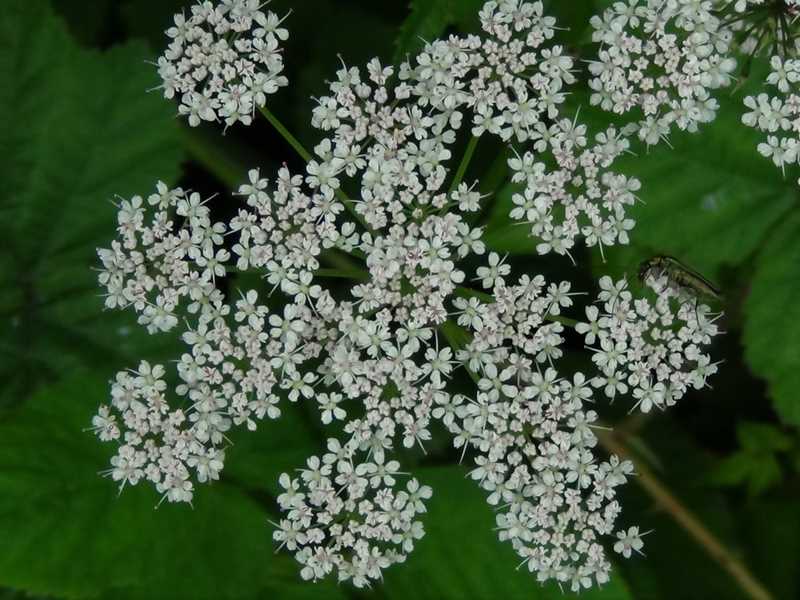 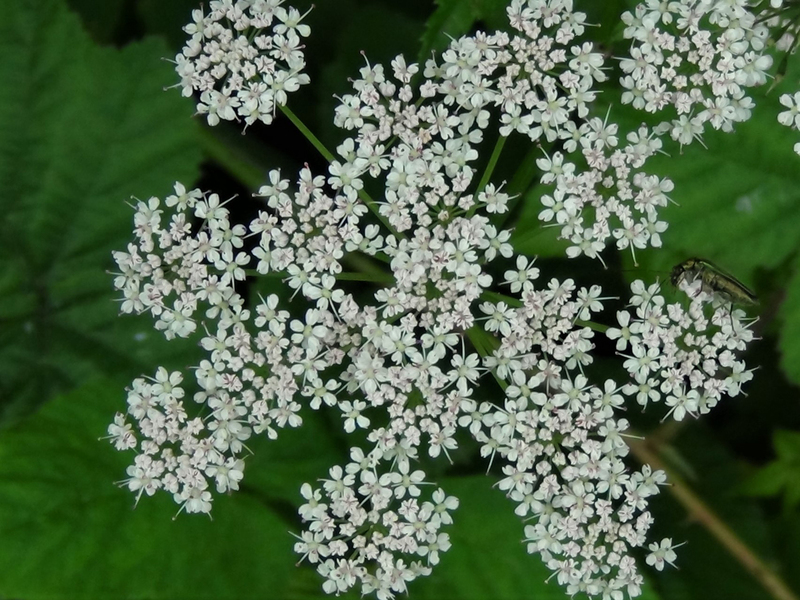 Tiny white flowers on an umbel (umbrella shaped) that appear from May to June. 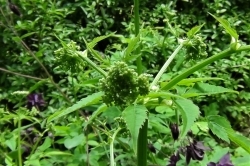 Hollow with a ‘u’ shaped groove, short, close to the ground and containing only one set of leaves until the flower stem appears. 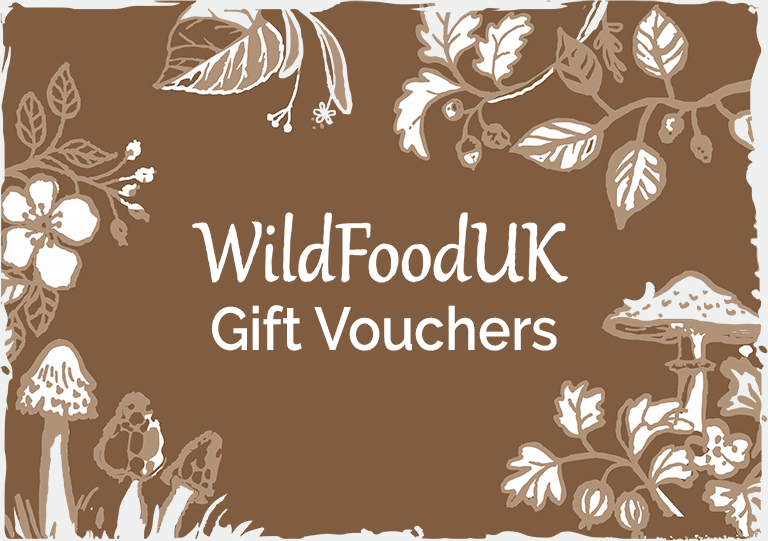 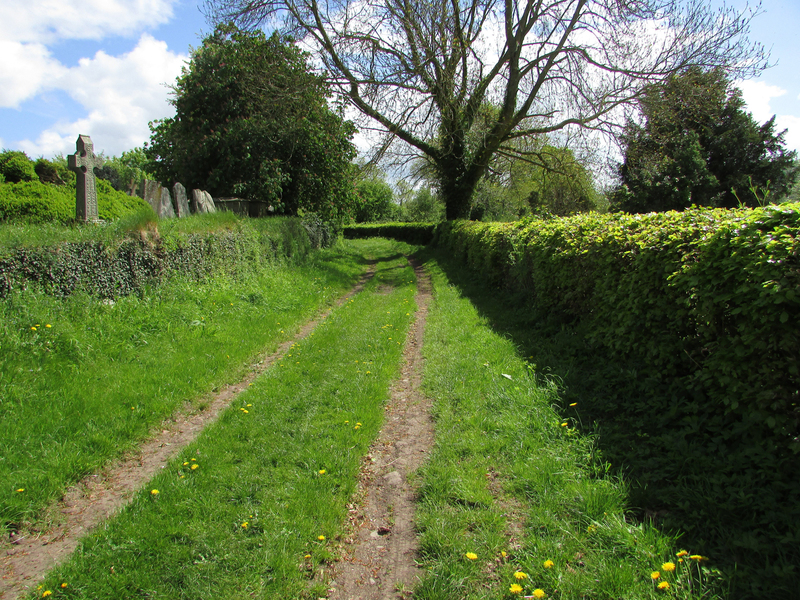 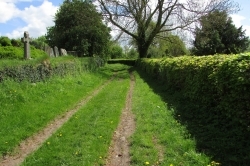 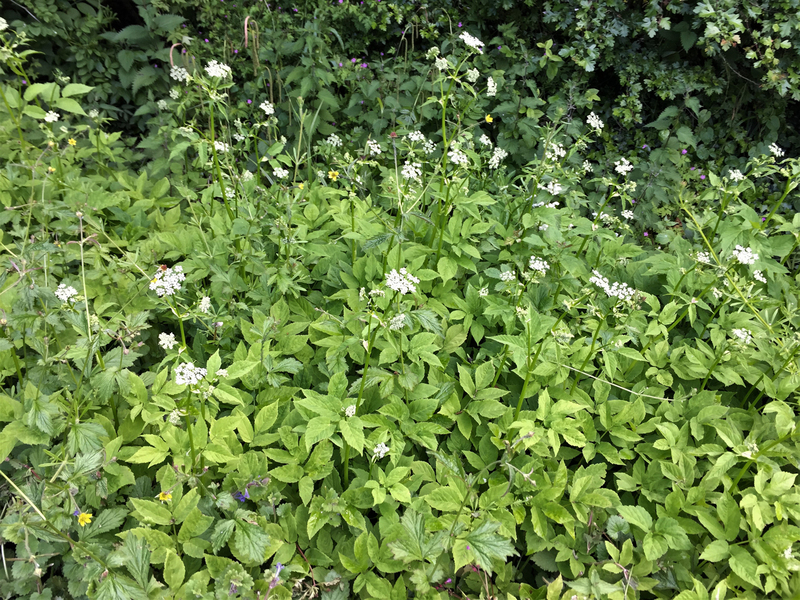 Woodland edges, roadsides, churchyards, parks, flower beds and many gardens, much to the gardeners annoyance. 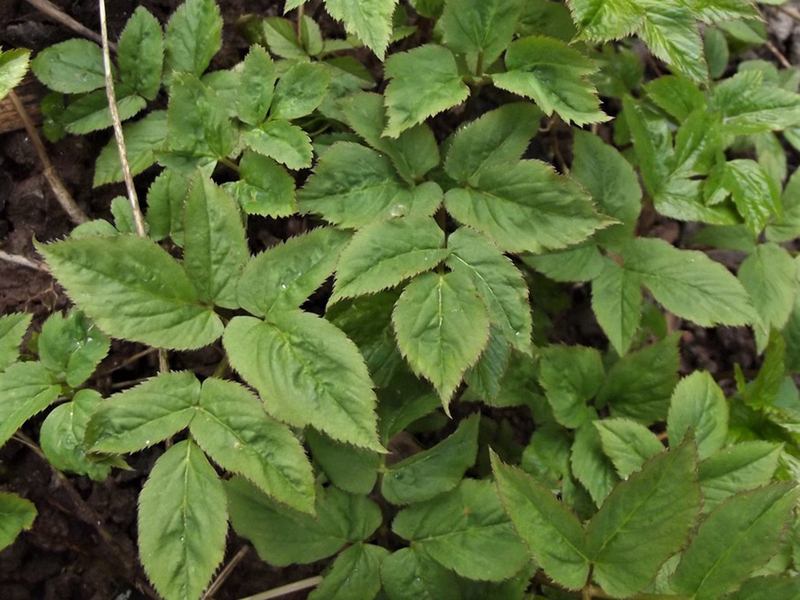 Can look a little like Dog’s Mercury, Mercurialis perennis, pictured, but this has hairy leaves that don’t grow in groups of three and a hairy stem, unlike Ground Elder. 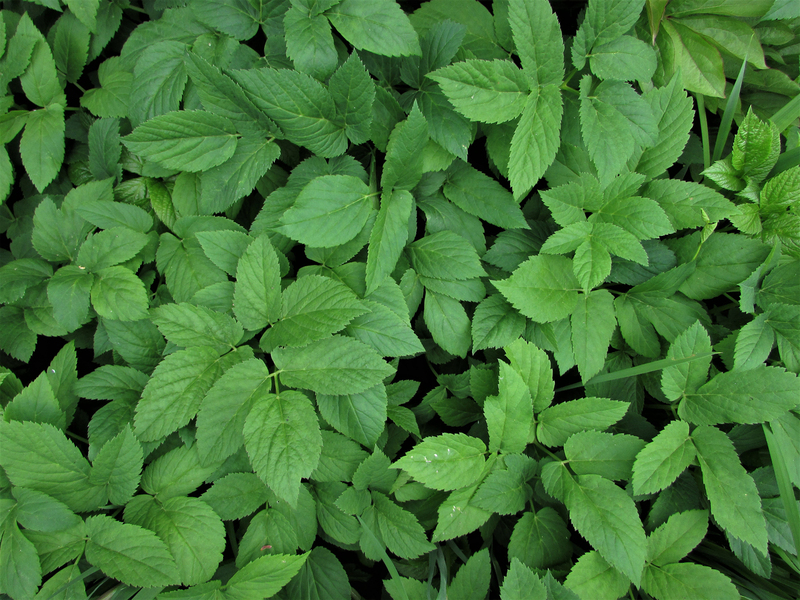 Very young Elder trees can look superficially similar but have a definate stem (later, trunk) rather than Ground elders leaves coming straight from the soil. 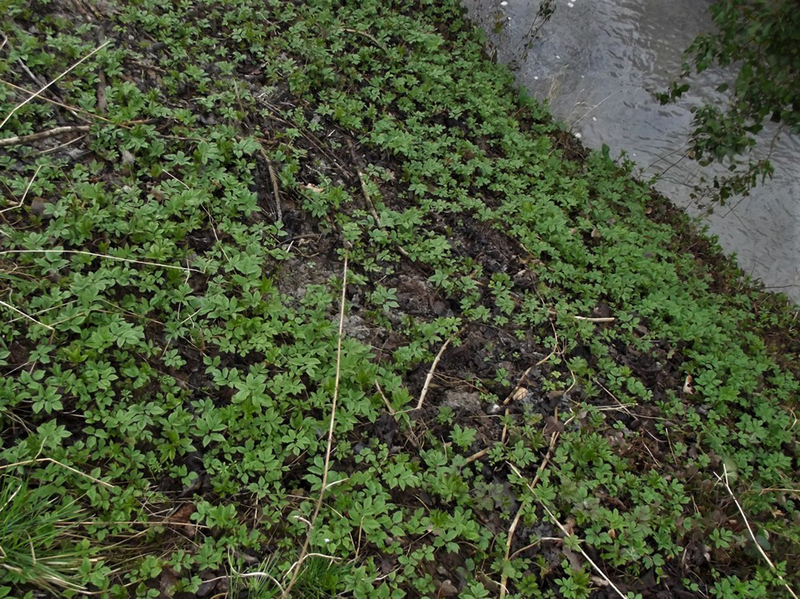 Like sweet parsley only better. 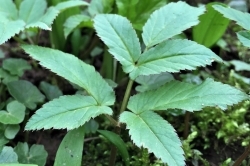 The young translucent leaves are best for salads. 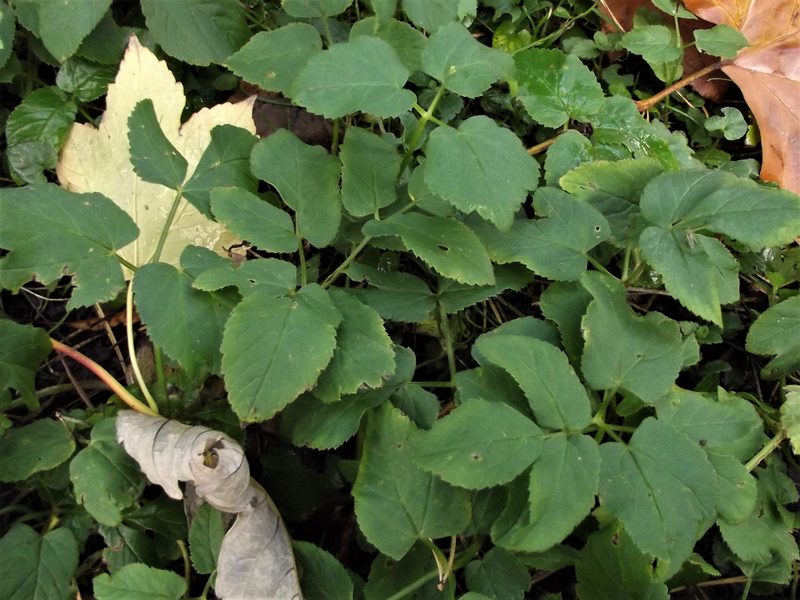 The slightly older leaves can be cooked like spinach, but when the leaves become course and papery they are best left on the plant. 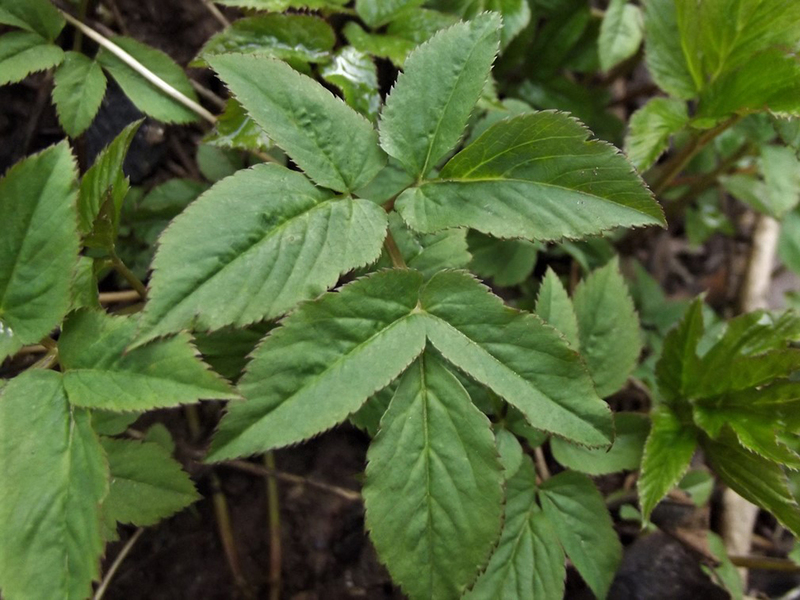 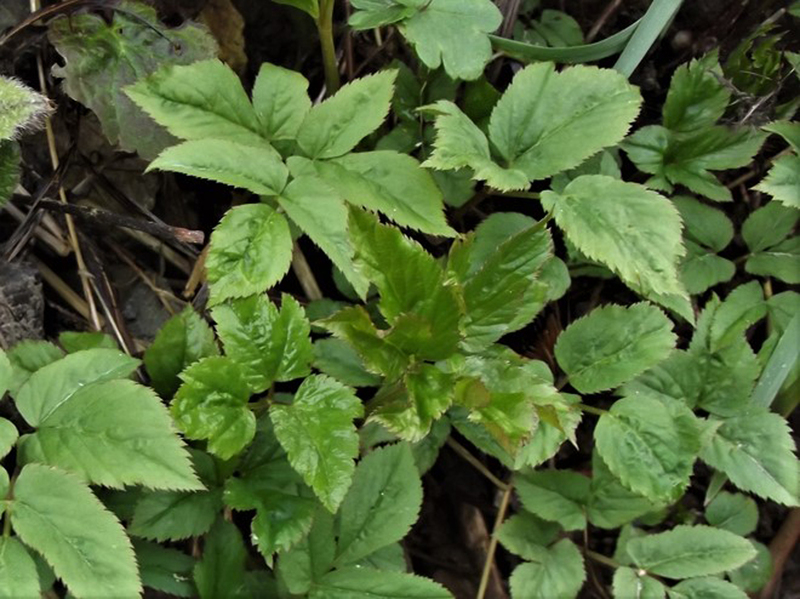 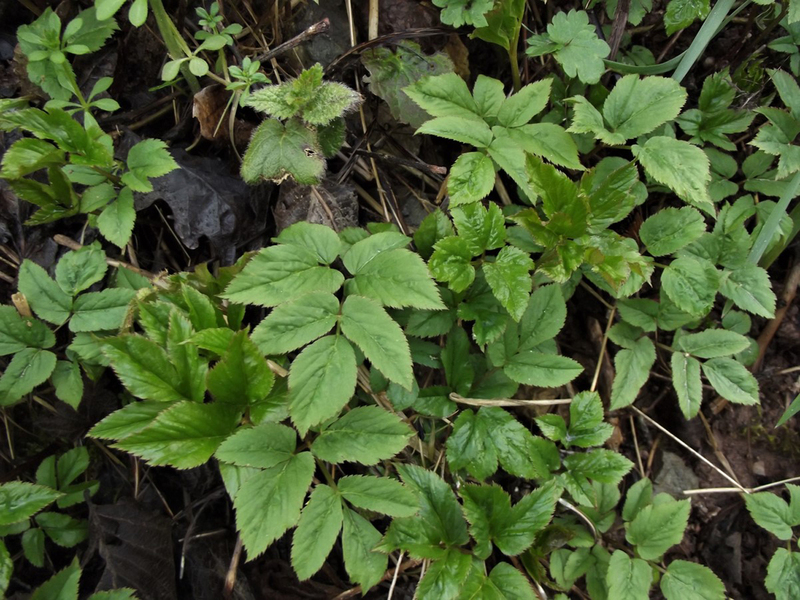 If you have a patch of Ground Elder keep cutting it back and young fresh leaves will grow back in no time. 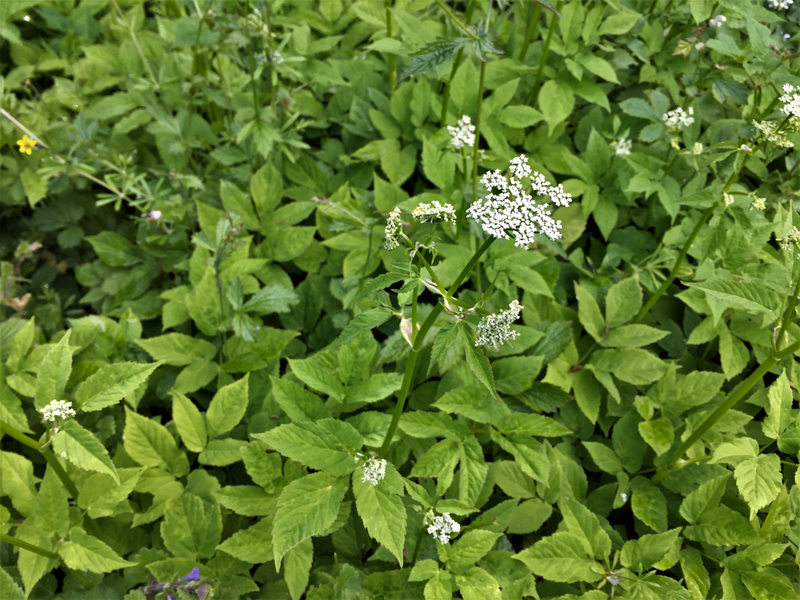 Once Ground Elder flowers it becomes a mild laxative, a diuretic and a soporific so it is best not eaten once the flowers appear or one could fall asleep and wake up in all sorts of trouble! 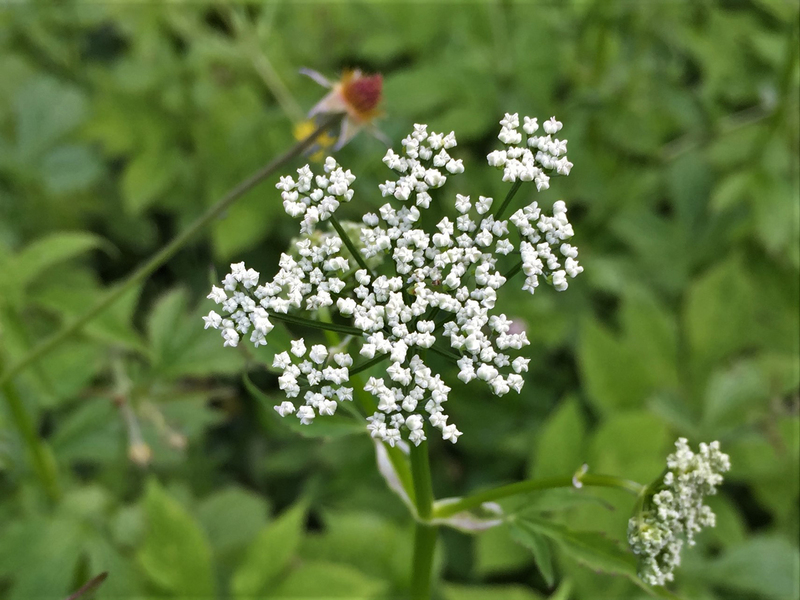 Traditionally it was used as a poultice to treat gout.